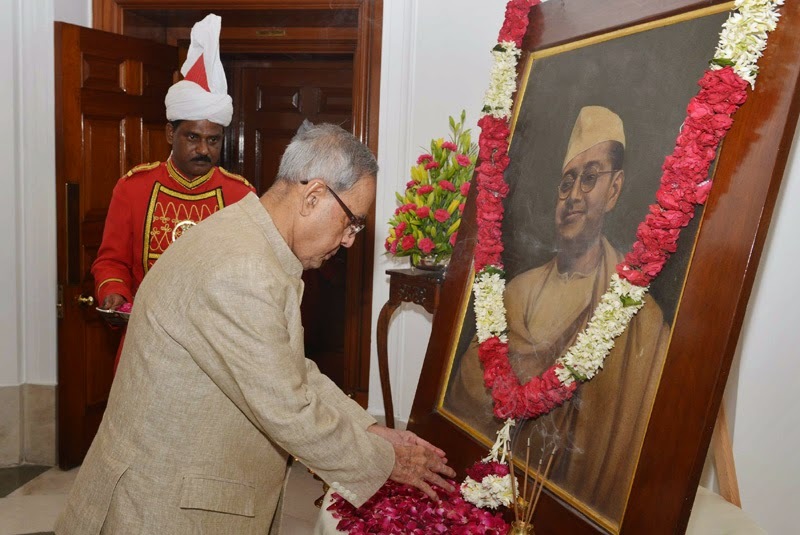 The President, Shri Pranab Mukherjee paying floral tributes at the portrait of Netaji Subhash Chandra Bose on his birth anniversary, at Rashtrapati Bhavan, in New Delhi on January 23, 2015. 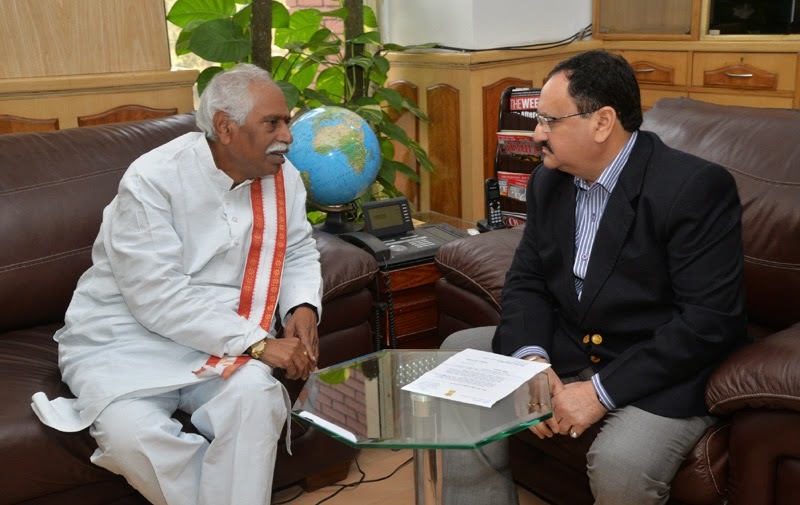 The Minister of State for Labour and Employment (Independent Charge), Shri Bandaru Dattatreya meeting the Union Minister for Health & Family Welfare, Shri Jagat Prakash Nadda, to find solutions for the outburst of swine flu in Telangana, in New Delhi on January 23, 2015. The Union Minister for Women and Child Development, Smt. Maneka Sanjay Gandhi with the winners of the National Bravery Awards-2014, in New Delhi on January 23, 2015. 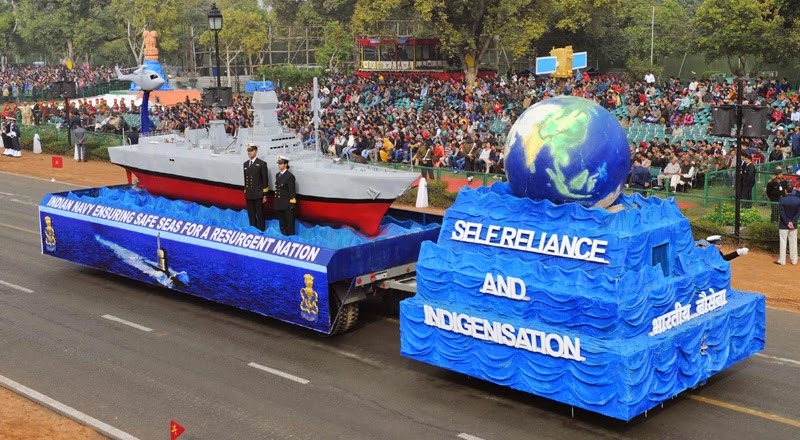 The Secretary, Department of Electronics and Information Technology, Shri R.S. Sharma and the Ambassador of the United States of America, Mr. Richard Rahul Verma at the signing ceremony of a Joint Declaration of Intent between the Ministry of Communications and Information Technology of the Government of India and the Department of State of the Government of the United States of America on cooperation in the field of Information & Communications Technology and Electronics (ICTE), in New Delhi on January 23, 2015. The Minister of State for Heavy Industries & Public Enterprises, Shri G.M. 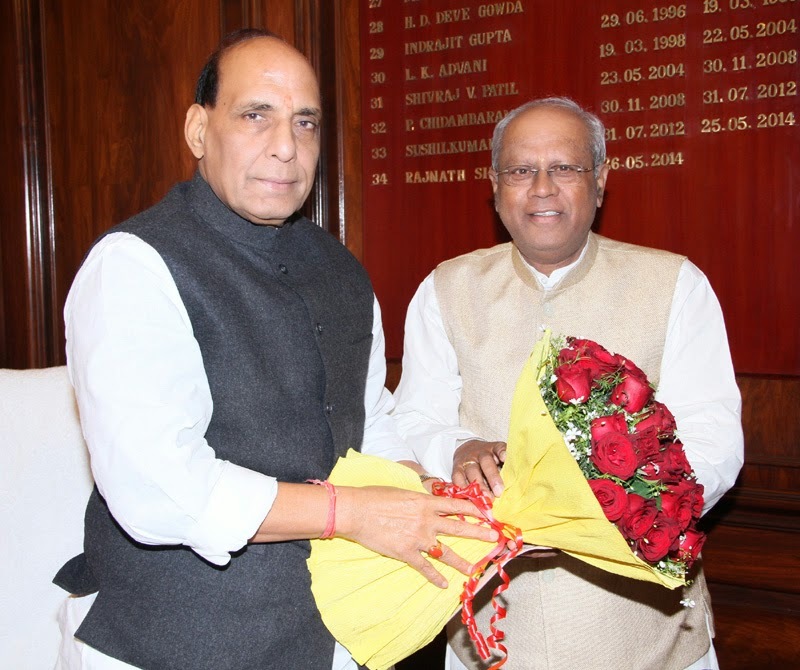 Siddeshwara calling on the Union Home Minister, Shri Rajnath Singh, in New Delhi on January 23, 2015. 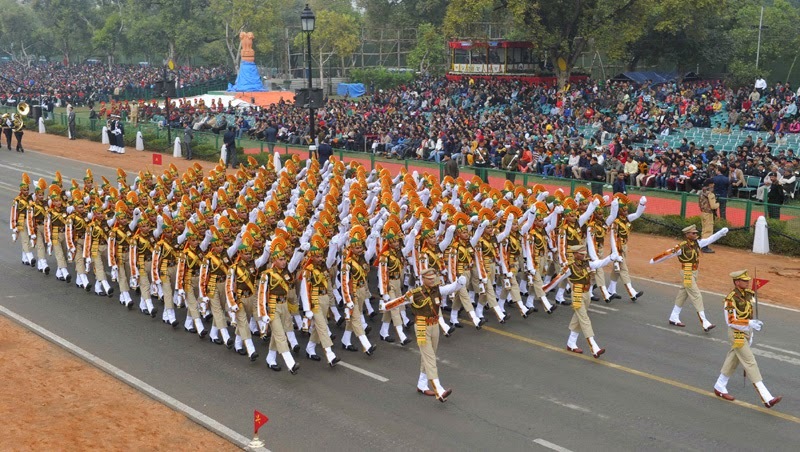 The Border Security Force marching contingent passes through the Rajpath during the full dress rehearsal for the Republic Day Parade-2015, in New Delhi on January 23, 2015. 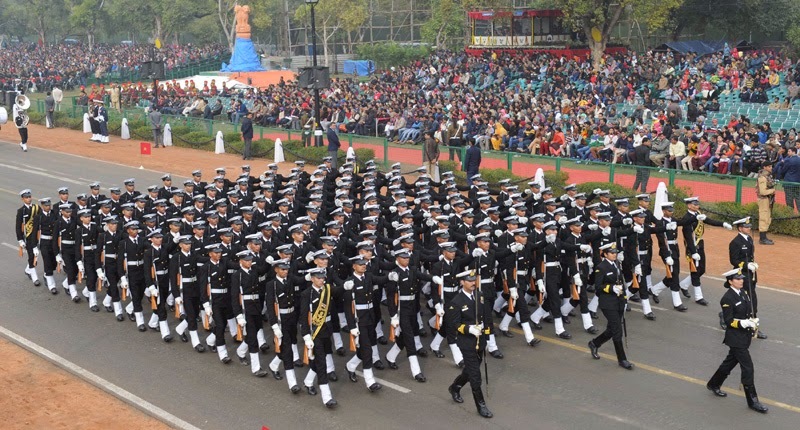 The Coast Guard marching contingent passes through the Rajpath during the full dress rehearsal for the Republic Day Parade-2015, in New Delhi on January 23, 2015. 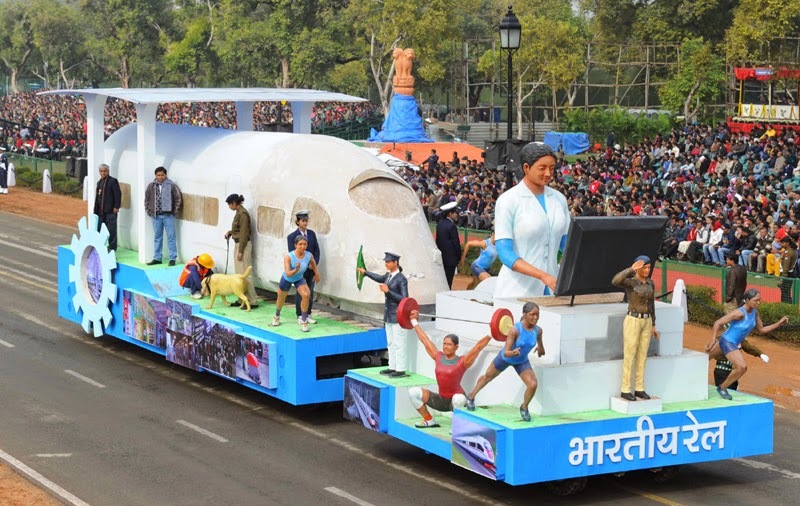 The tableau of the Ministry of Indian Railways passes through the Rajpath during the full dress rehearsal for the Republic Day Parade-2015, in New Delhi on January 23, 2015. 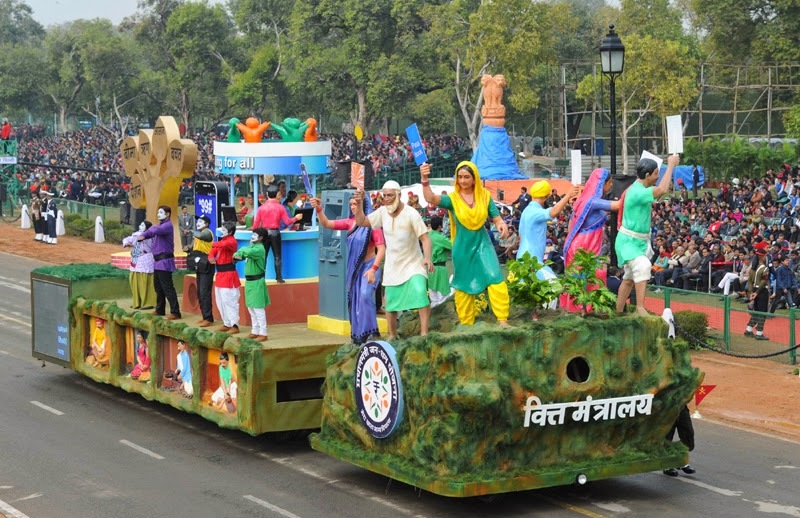 The tableau of the Department of Financial Services passes through the Rajpath during the full dress rehearsal for the Republic Day Parade-2015, in New Delhi on January 23, 2015. 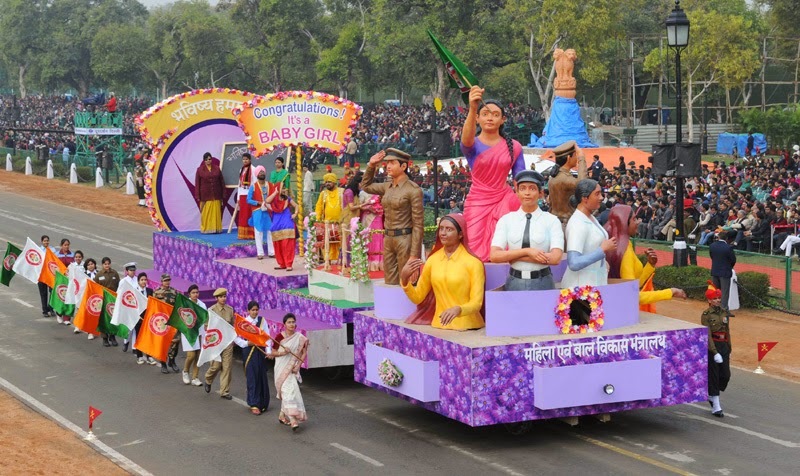 The tableau of the Ministry of Women and Child Development passes through the Rajpath during the full dress rehearsal for the Republic Day Parade-2015, in New Delhi on January 23, 2015. 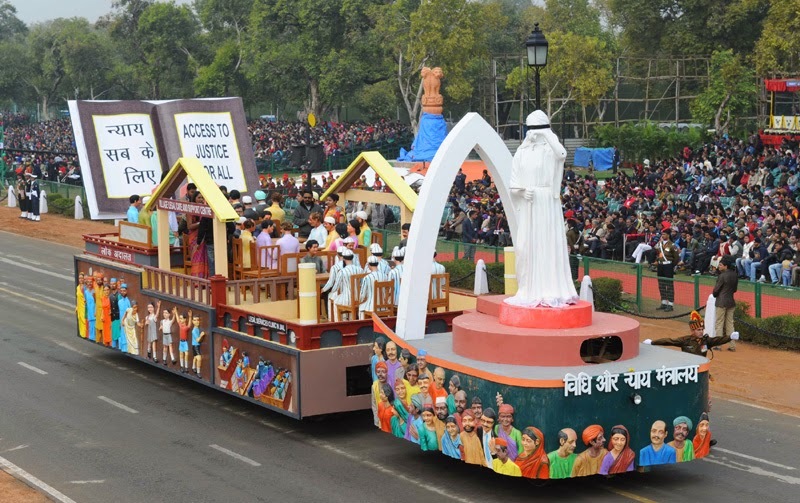 The tableau of the Ministry of Law and Justice passes through the Rajpath during the full dress rehearsal for the Republic Day Parade-2015, in New Delhi on January 23, 2015. 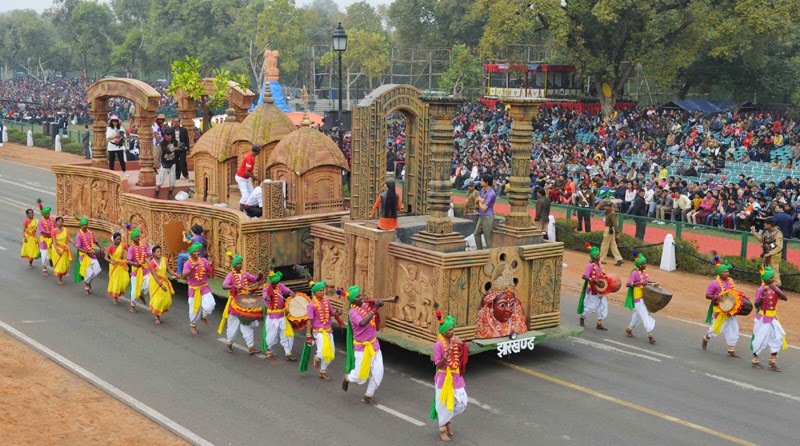 The tableau of the Ministry of Panchayati Raj passes through the Rajpath during the full dress rehearsal for the Republic Day Parade-2015, in New Delhi on January 23, 2015. 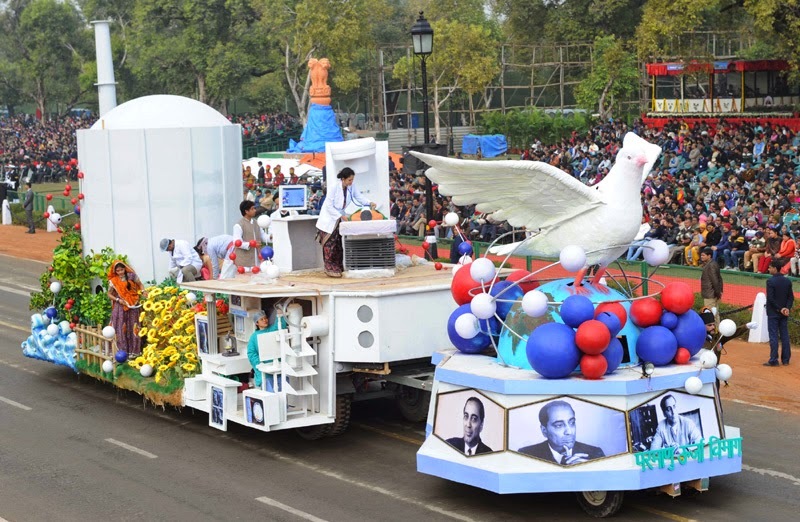 The tableau of the Department of Atomic Energy passes through the Rajpath during the full dress rehearsal for the Republic Day Parade-2015, in New Delhi on January 23, 2015. 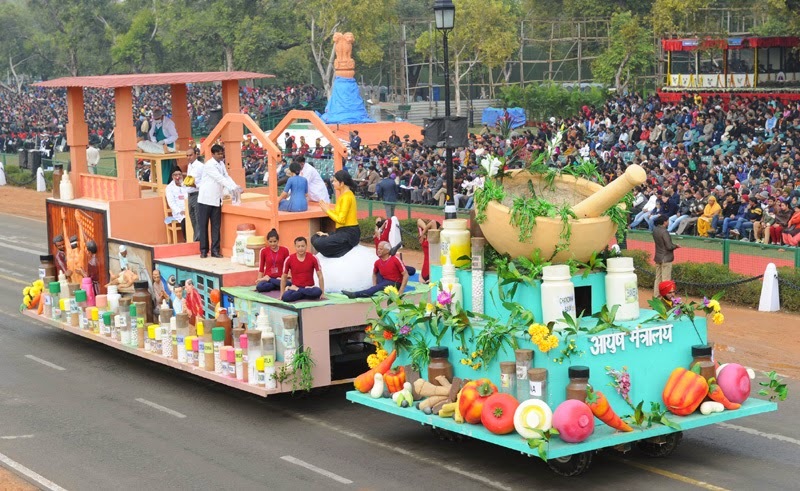 The tableau of the Ministry of Ayush passes through the Rajpath during the full dress rehearsal for the Republic Day Parade-2015, in New Delhi on January 23, 2015. 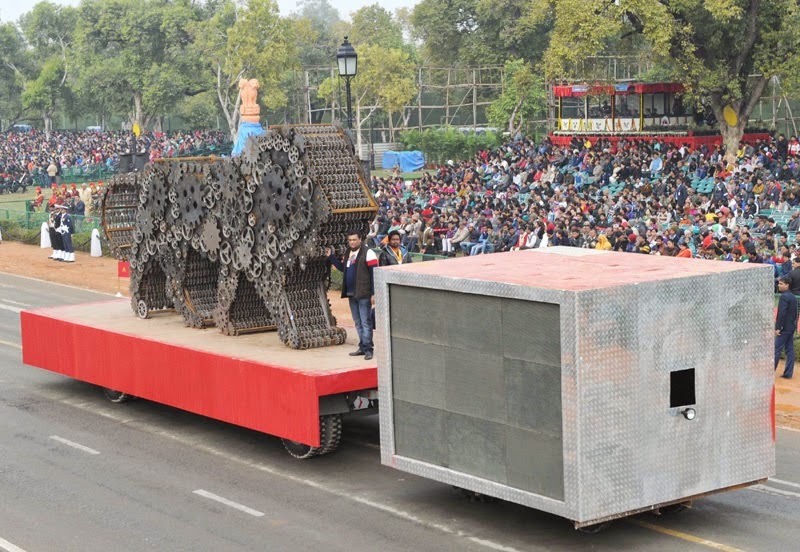 The tableau of the Department of Industrial Policy and Promotion passes through the Rajpath during the full dress rehearsal for the Republic Day Parade-2015, in New Delhi on January 23, 2015. 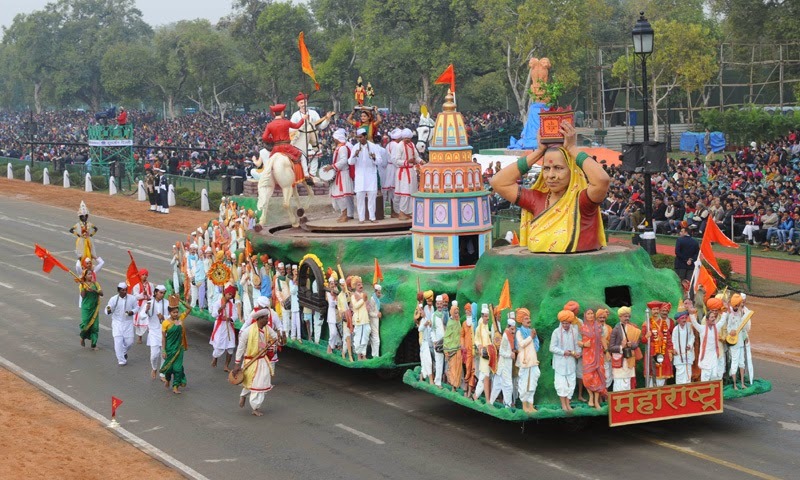 The tableau of Gujarat passes through the Rajpath during the full dress rehearsal for the Republic Day Parade-2015, in New Delhi on January 23, 2015. 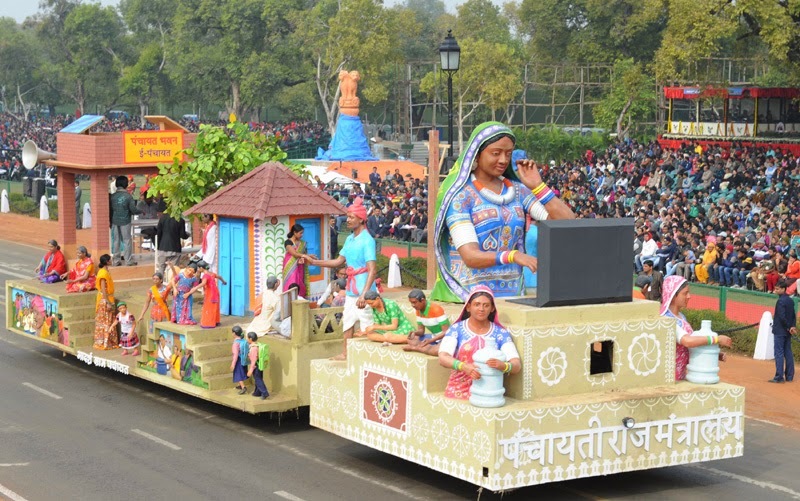 The tableau of Maharashtra passes through the Rajpath during the full dress rehearsal for the Republic Day Parade-2015, in New Delhi on January 23, 2015. 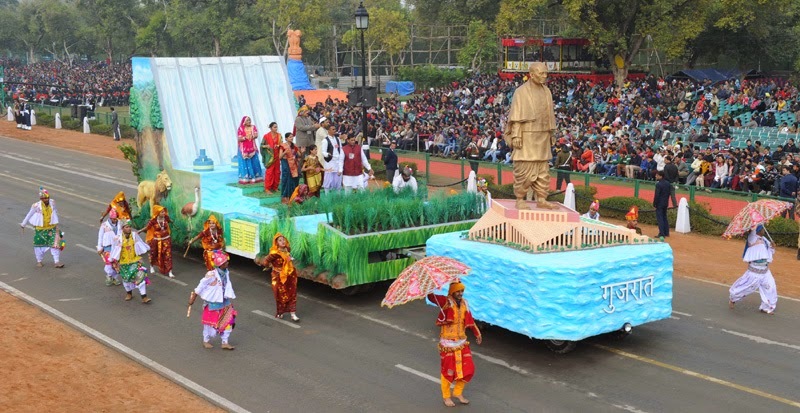 The tableau of Arunachal Pradesh passes through the Rajpath during the full dress rehearsal for the Republic Day Parade-2015, in New Delhi on January 23, 2015. 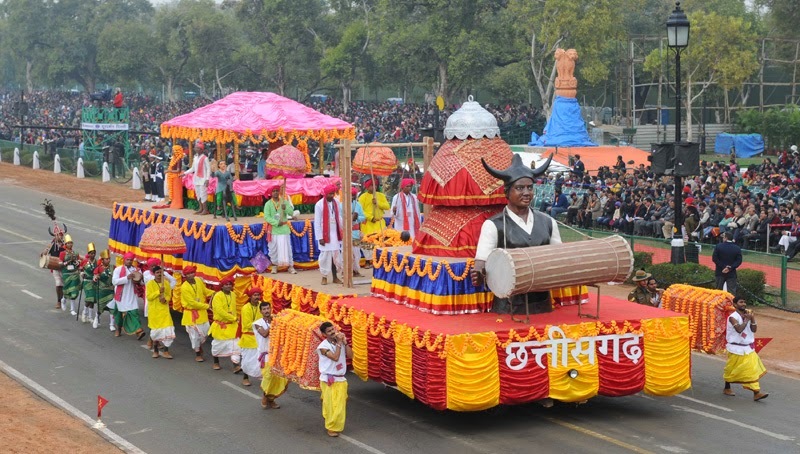 The tableau of Chhattisgarh passes through the Rajpath during the full dress rehearsal for the Republic Day Parade-2015, in New Delhi on January 23, 2015. 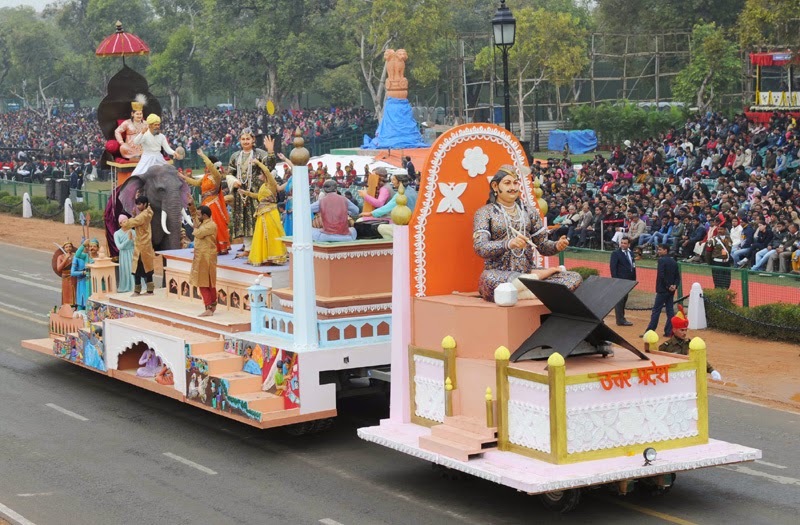 The tableau of Haryana passes through the Rajpath during the full dress rehearsal for the Republic Day Parade-2015, in New Delhi on January 23, 2015. 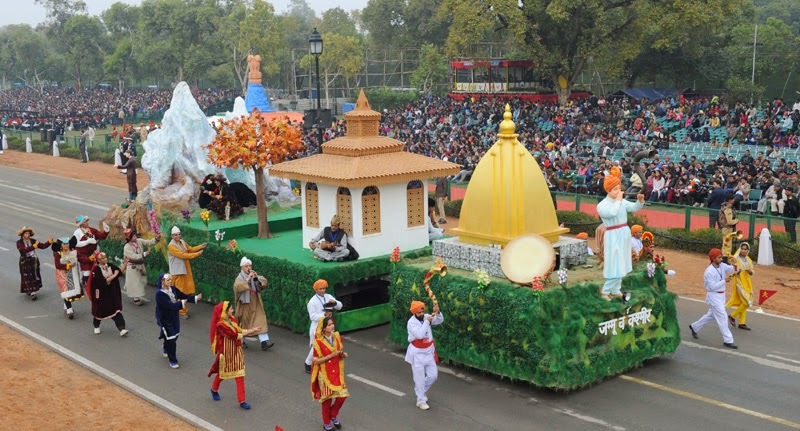 The tableau of Jammu & Kashmir passes through the Rajpath during the full dress rehearsal for the Republic Day Parade-2015, in New Delhi on January 23, 2015. 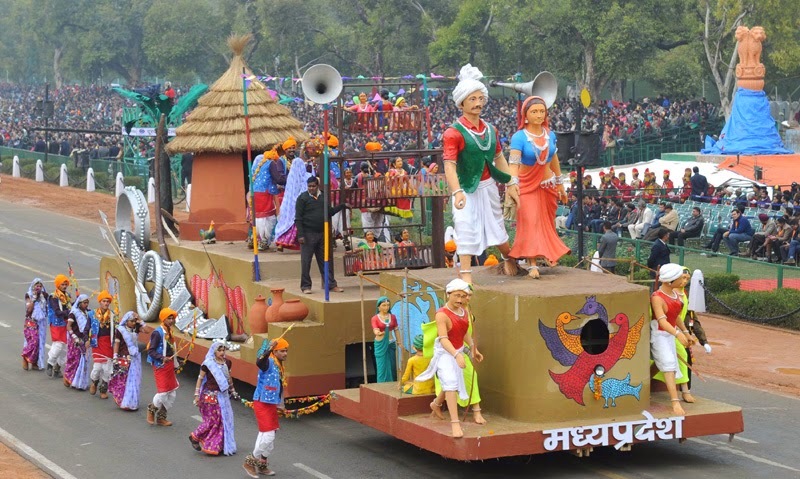 The tableau of Uttar Pradesh passes through the Rajpath during the full dress rehearsal for the Republic Day Parade-2015, in New Delhi on January 23, 2015. 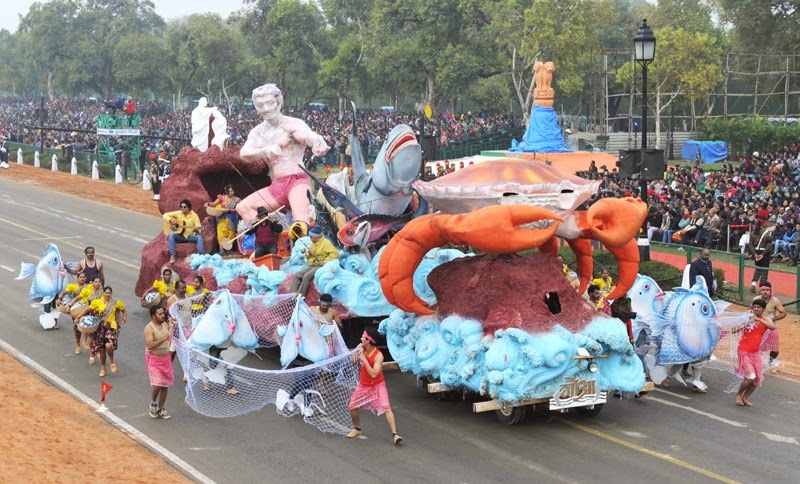 The tableau of Telangana passes through the Rajpath during the full dress rehearsal for the Republic Day Parade-2015, in New Delhi on January 23, 2015. 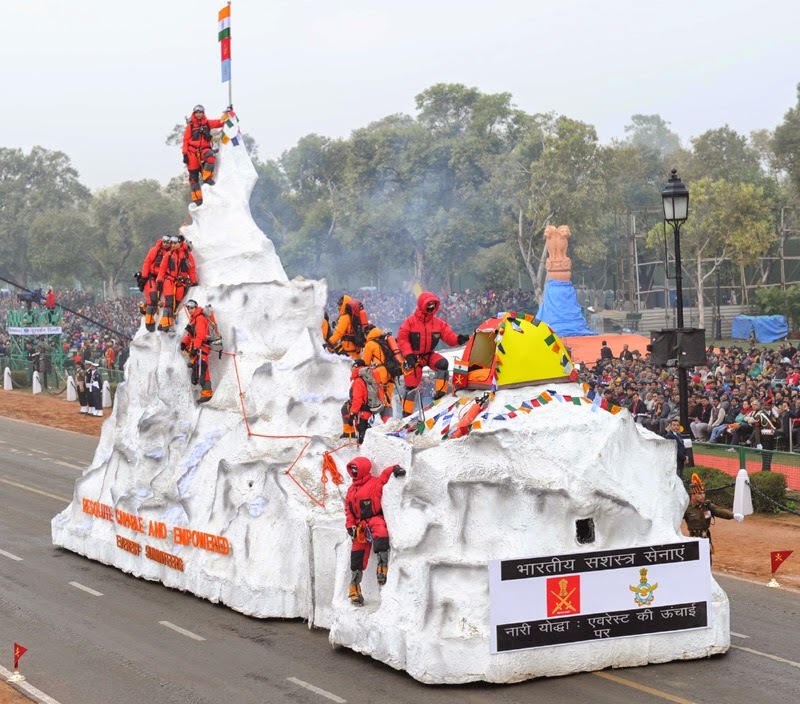 The tableau of Sikkim passes through the Rajpath during the full dress rehearsal for the Republic Day Parade-2015, in New Delhi on January 23, 2015. 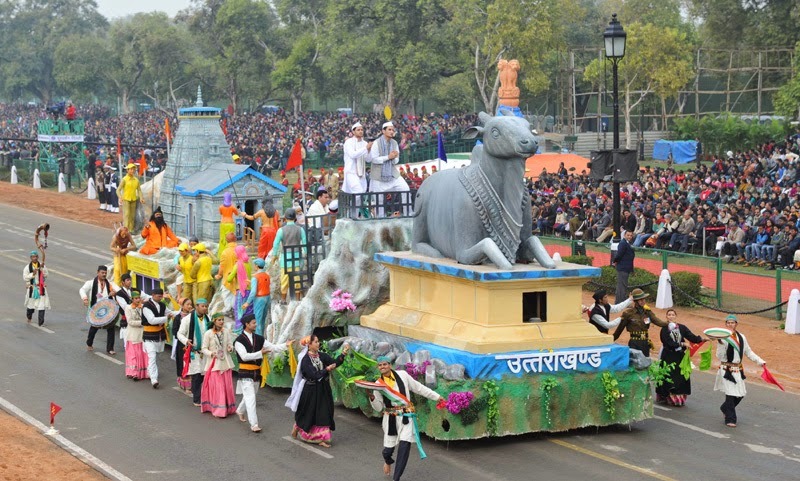 The tableau of Jharkhand passes through the Rajpath during the full dress rehearsal for the Republic Day Parade-2015, in New Delhi on January 23, 2015. 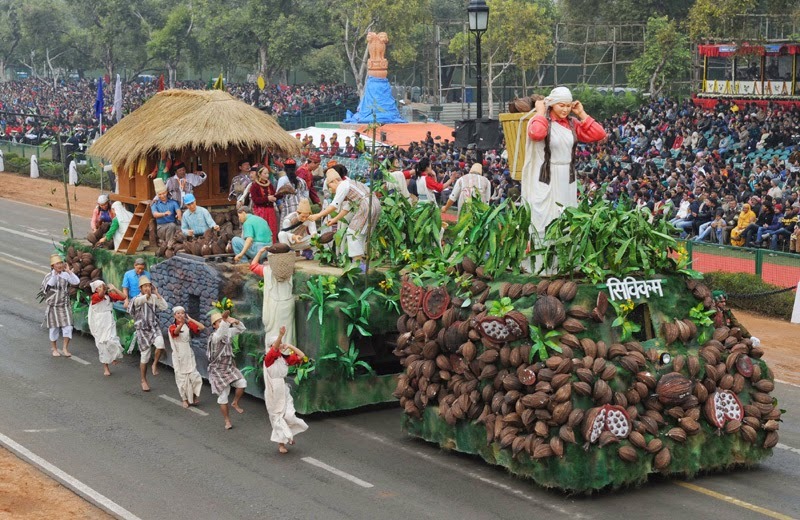 The tableau of Assam passes through the Rajpath during the full dress rehearsal for the Republic Day Parade-2015, in New Delhi on January 23, 2015. 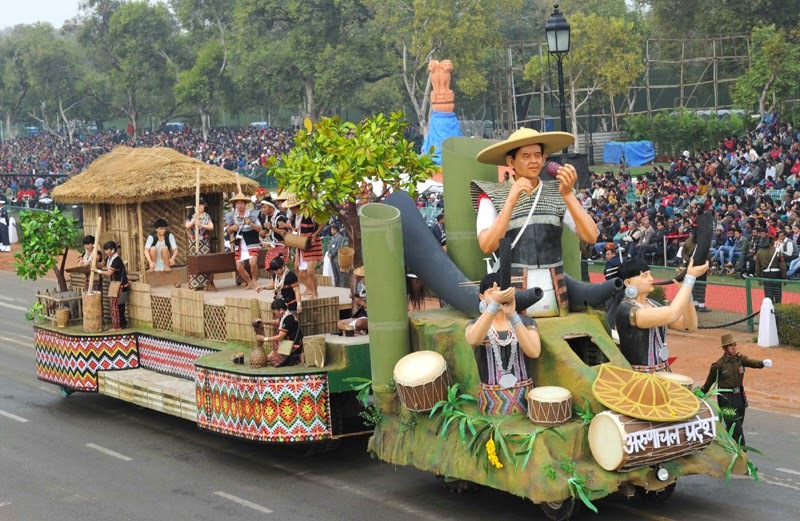 The tableau of Uttarakhand passes through the Rajpath during the full dress rehearsal for the Republic Day Parade-2015, in New Delhi on January 23, 2015. 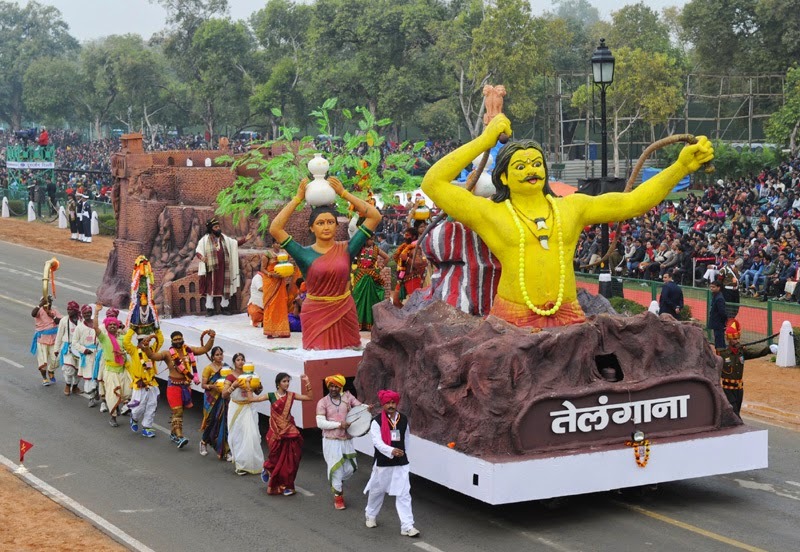 The tableau of Madhya Pradesh passes through the Rajpath during the full dress rehearsal for the Republic Day Parade-2015, in New Delhi on January 23, 2015. 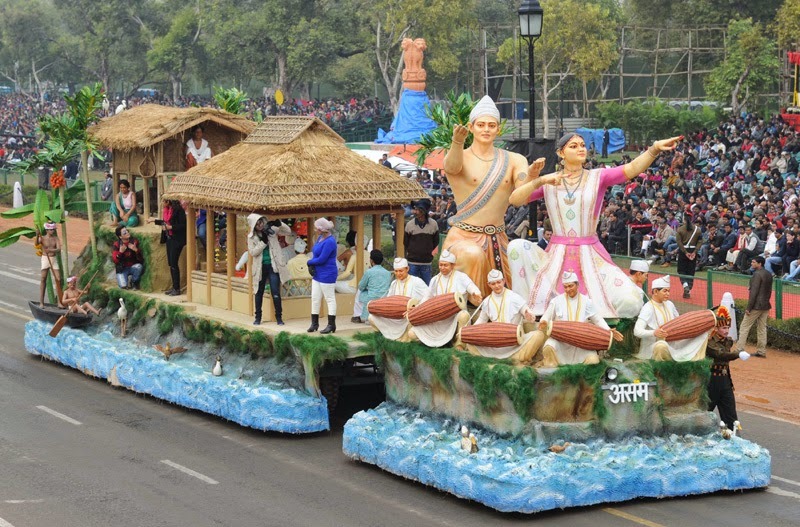 The tableau of Goa passes through the Rajpath during the full dress rehearsal for the Republic Day Parade-2015, in New Delhi on January 23, 2015. 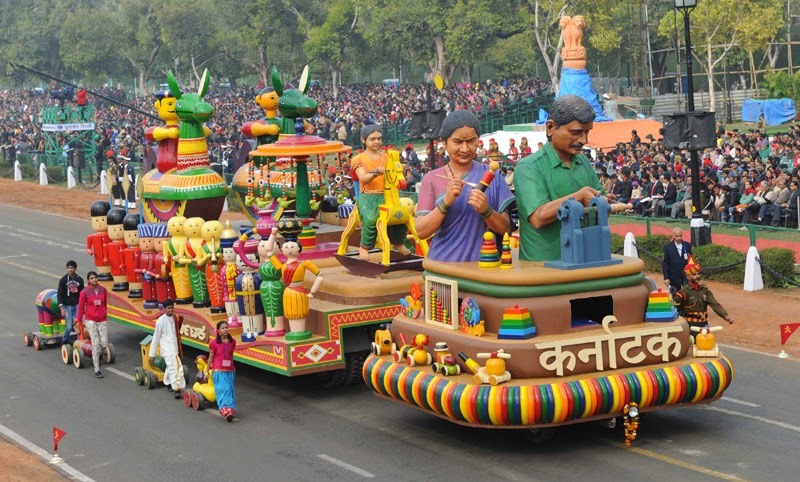 The tableau of Karnataka passes through the Rajpath during the full dress rehearsal for the Republic Day Parade-2015, in New Delhi on January 23, 2015. 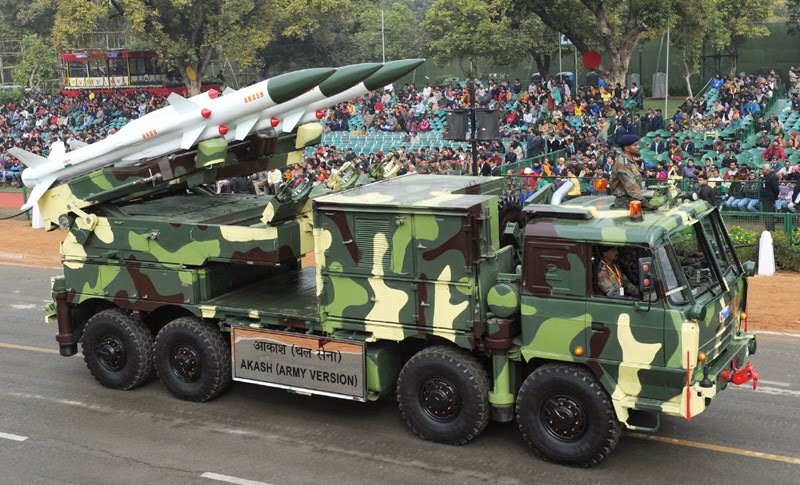 Akash (Army Version) passes through the Rajpath during the full dress rehearsal for the Republic Day Parade-2015, in New Delhi on January 23, 2015. 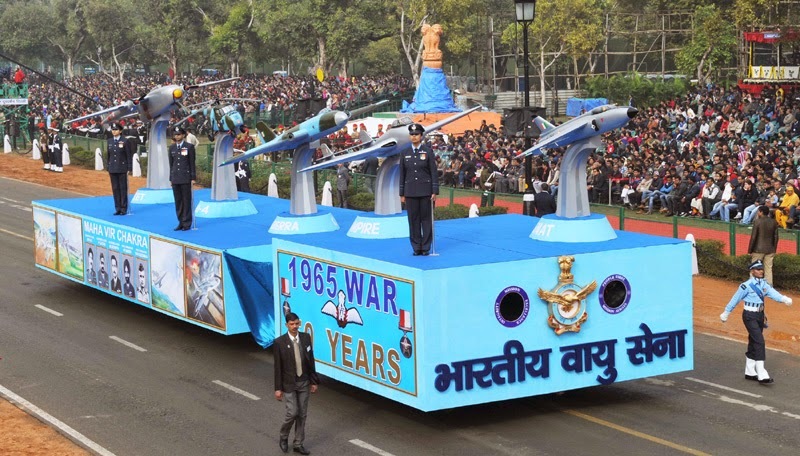 The tableau of Indian Air Force passes through the Rajpath during the full dress rehearsal for the Republic Day Parade-2015, in New Delhi on January 23, 2015. 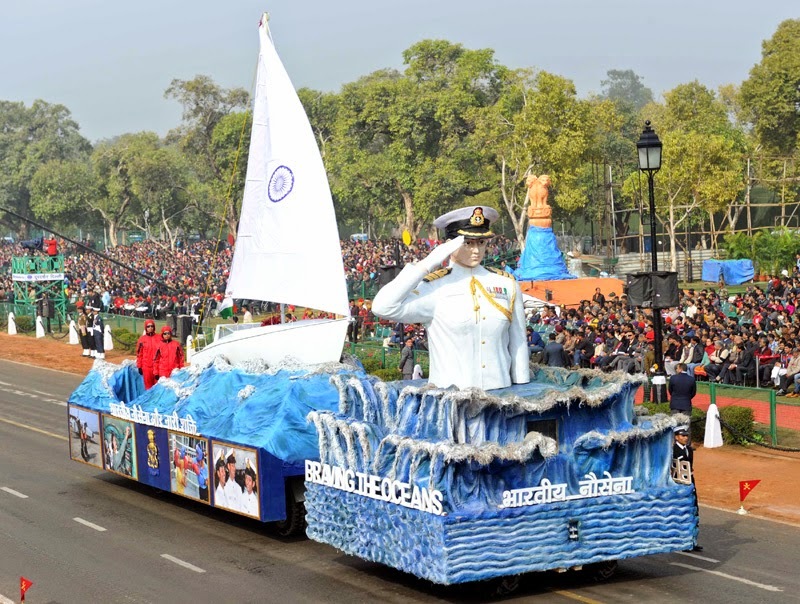 The tableau of Indian Navy passes through the Rajpath during the full dress rehearsal for the Republic Day Parade-2015, in New Delhi on January 23, 2015. 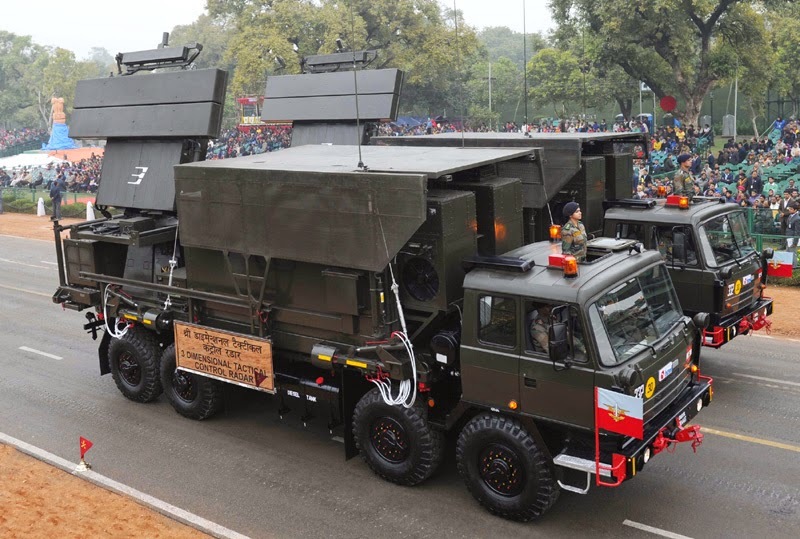 Satellite On The Move passes through the Rajpath during the full dress rehearsal for the Republic Day Parade-2015, in New Delhi on January 23, 2015. 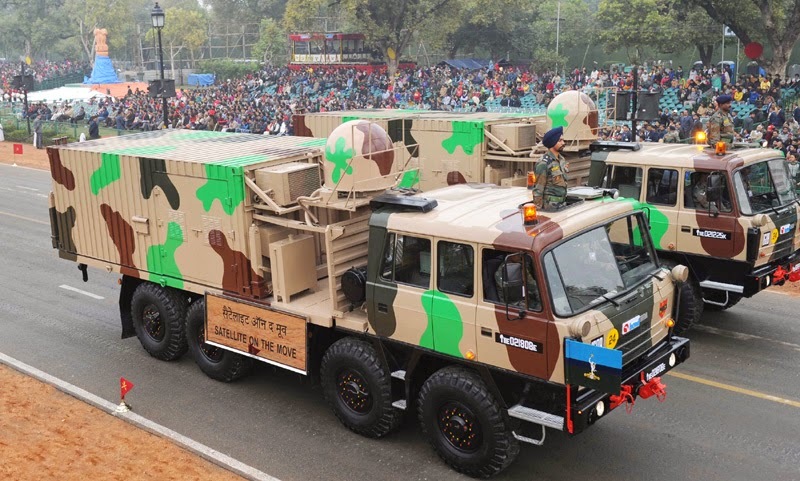 3D Tactical Control Radar passes through the Rajpath during the full dress rehearsal for the Republic Day Parade-2015, in New Delhi on January 23, 2015. 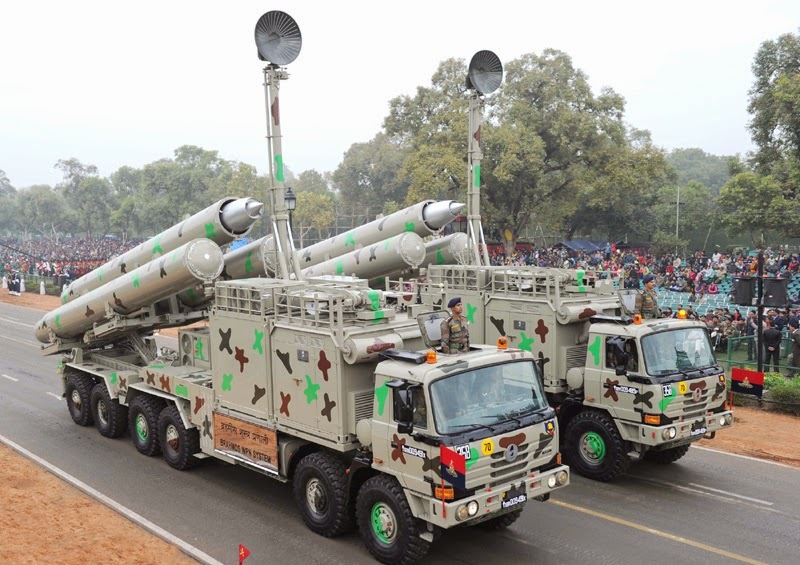 Brahmos WPN System passes through the Rajpath during the full dress rehearsal for the Republic Day Parade-2015, in New Delhi on January 23, 2015. 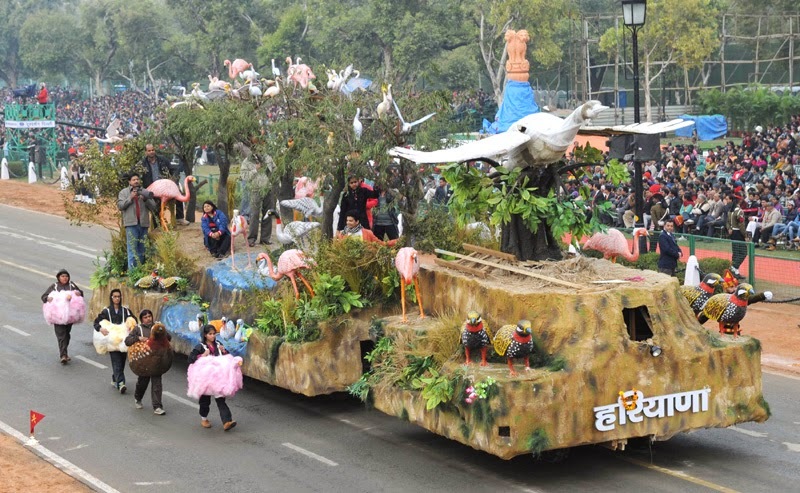 Tank T- 90 (Bhishma) passes through the Rajpath during the full dress rehearsal for the Republic Day Parade-2015, in New Delhi on January 23, 2015.